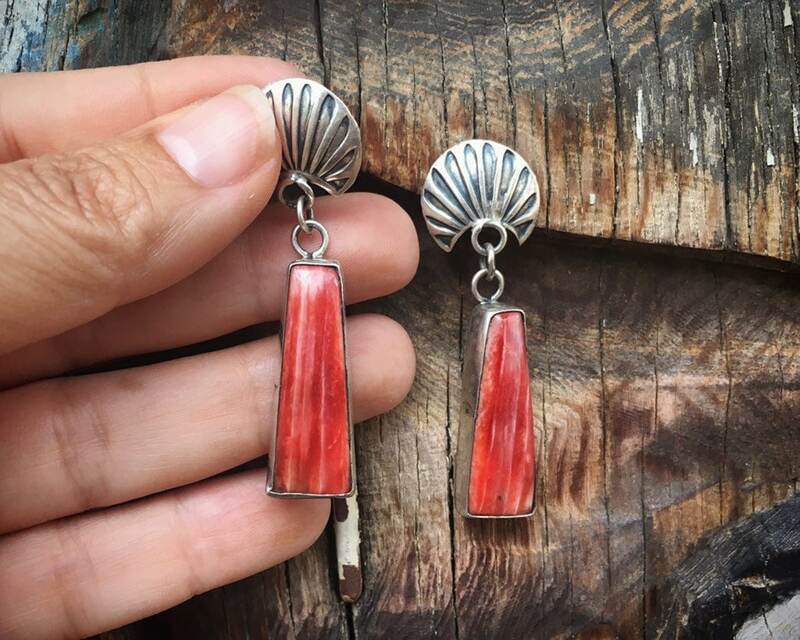 These vintage earrings each have a beautiful piece of red spiny oyster in a smooth bezels, which is attached to a concho shaped something like a shell. 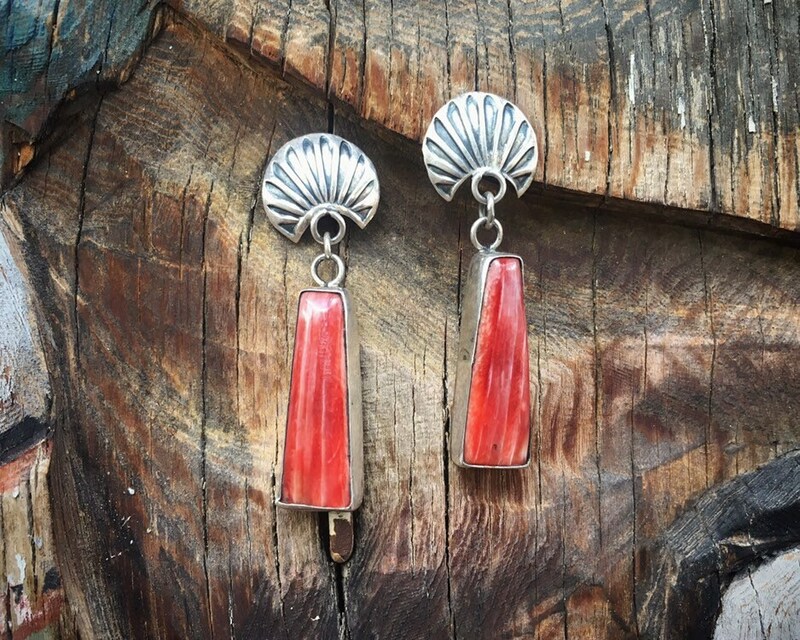 Which is what "concho" means in Spanish, although to find one that actually looks like a shell is somewhat unusual. Spiny oyster varies in color from orange to red to purple--often with different degrees of white striation--and I often come across orange, not red. 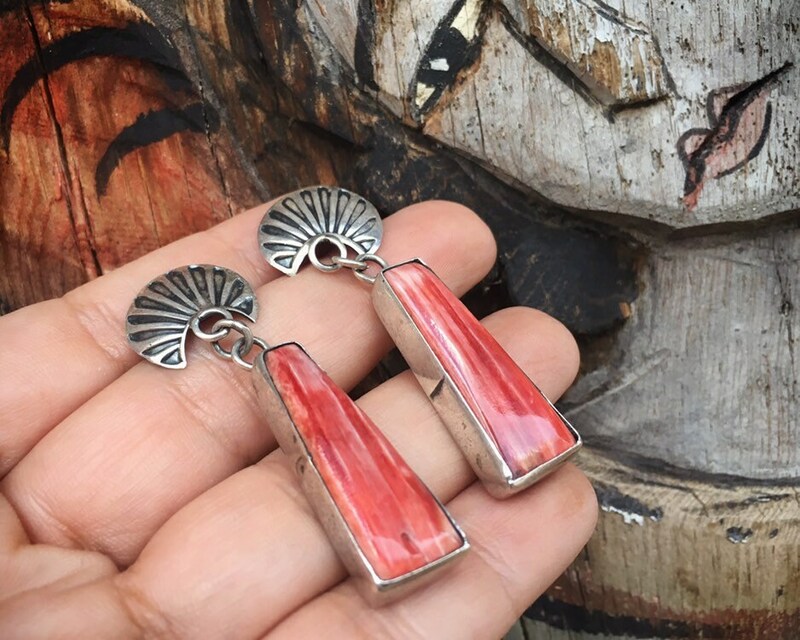 And what I love most about them, besides the fact that they are fairly light and just the right size, is that the color--like red coral--goes so well with turquoise. 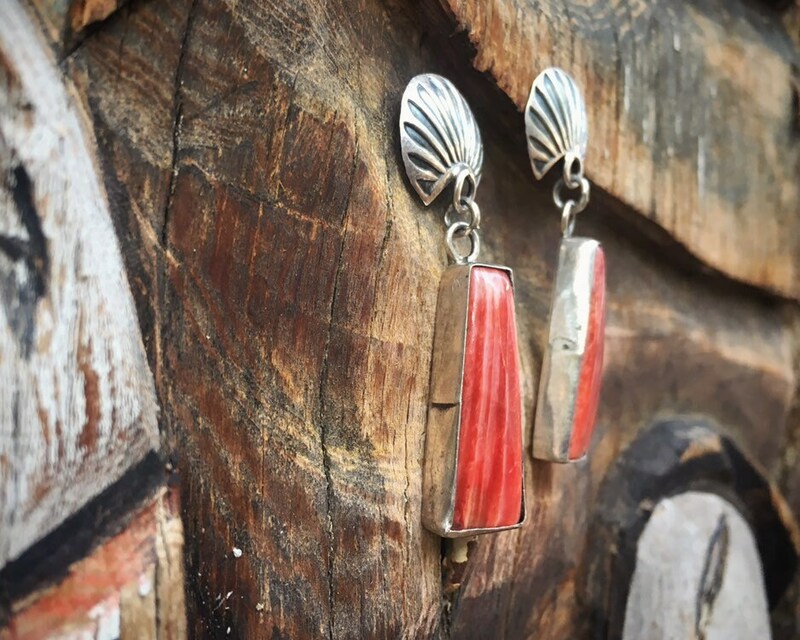 The earrings are not hallmarked, so we cannot say with certainty that they are Native American. They test positive for sterling silver. 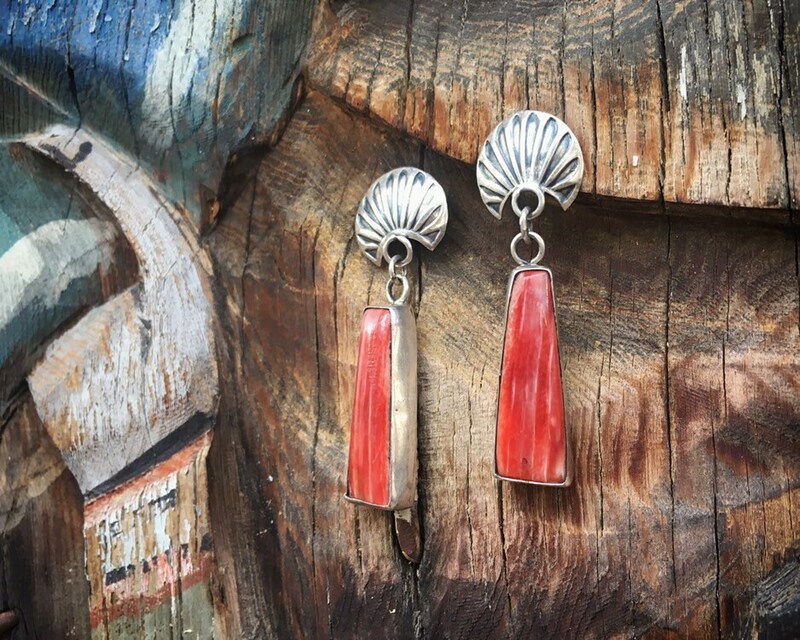 Each earring measures 2-1/8" long by about 5/8" wide at the widest point. In good condition. Red, the color of prosperity!